Bhubaneswar: Biju Janata Dal (BJD) president and Chief Minister Naveen Patnaik continued his attack on BJP-led Government at the Centre for its non-cooperation over farmers’ issues and criticised two Union Ministers from Odisha for remaining mum on it. Addressing an election rally in Atabira of Bargarh district today, Patnaik said the Centre had promised to double the minimum support price (MSP) for paddy after coming to power but it failed to fulfil the same. “Moreover, two Odias are serving as Ministers in the Union Cabinet. 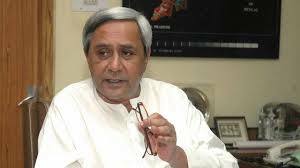 But, they kept mum over the issue,” charged Patnaik in an apparent reference to Jual Oram and Dharmendra Pradhan. Patanik also reiterated that no one can stop KALIA till he was alive. The CM today hit campaign trail in Bargarh and Bolangir districts.